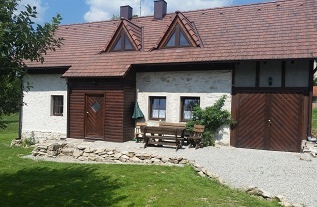 Chalupa Chlum - Jiřík, Volary. 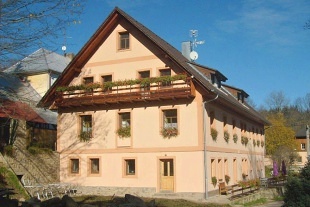 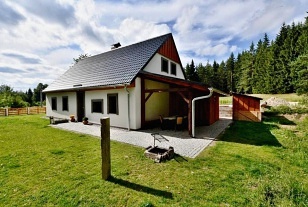 Accommodation cottage Šumava, southern Bohemia. 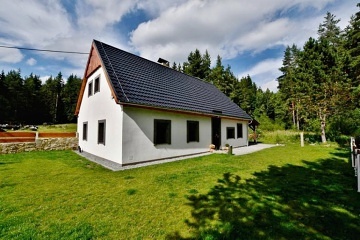 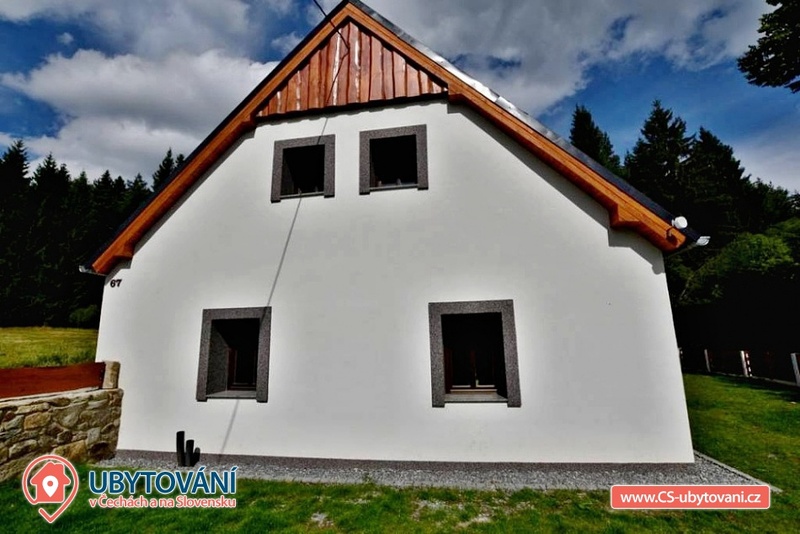 Our cottage is in the heart of the Šumava National Park in the middle part after a complete reconstruction. 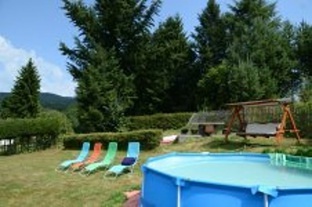 The cottage is right next to the forest for all demanding clients who want something perfect. 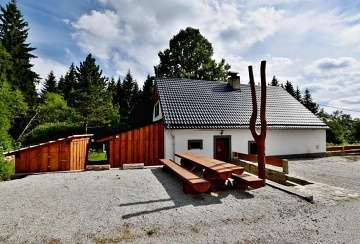 Exceptional place for adults (drafts, grill, terrace, peace) and for your children (children's corner, sandbox, no traffic at all). 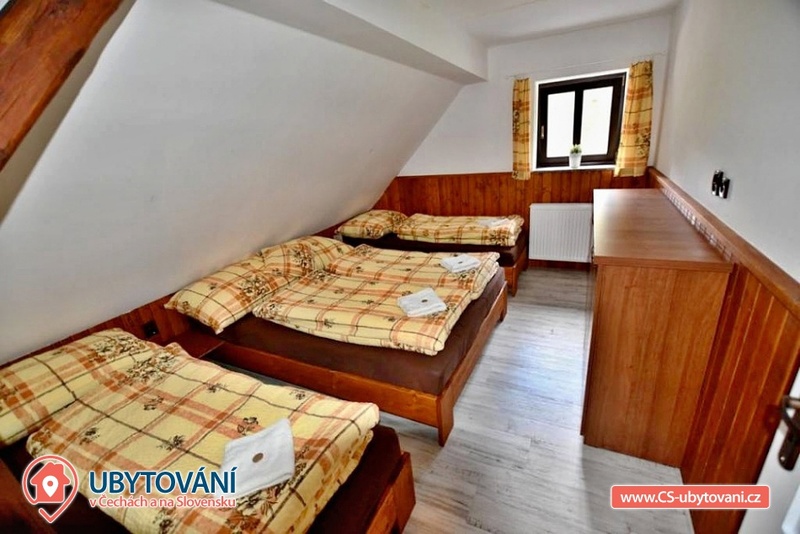 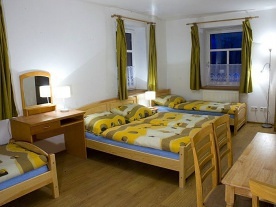 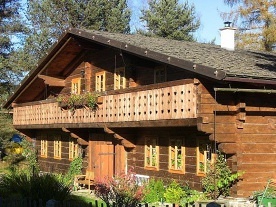 Chalet for rent provides accommodation for 16 people in a total of 4 bedrooms (4 beds each). 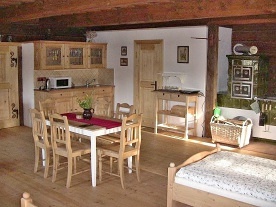 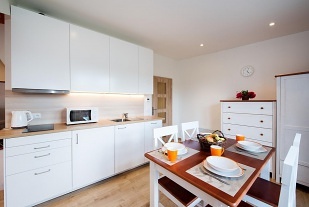 In the kitchen there is dishwasher, electric kettle, microwave oven, stove + ceramic hob, TV 109 cm, vacuum cleaner and cot. 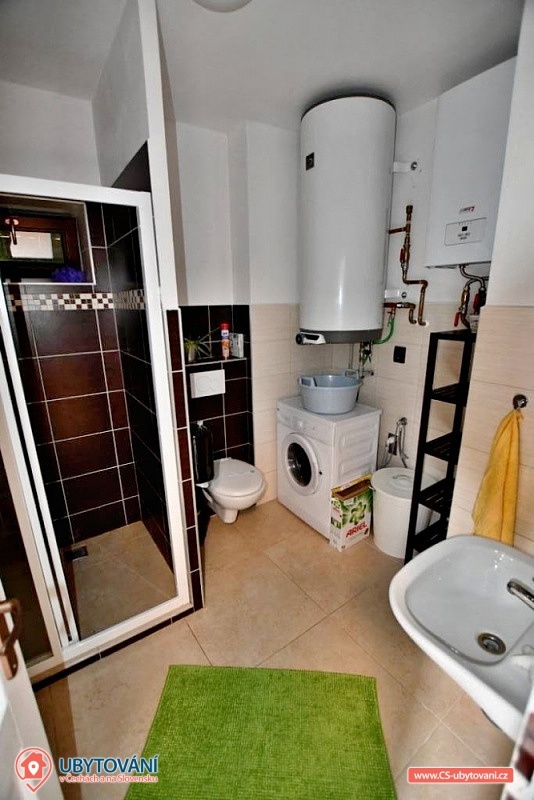 In the object: 2x separate sanitary facility (2x shower, 3x Wc, 2x wash-basin, 1x washer), central heating, electric boiler and fireplace with exchanger. 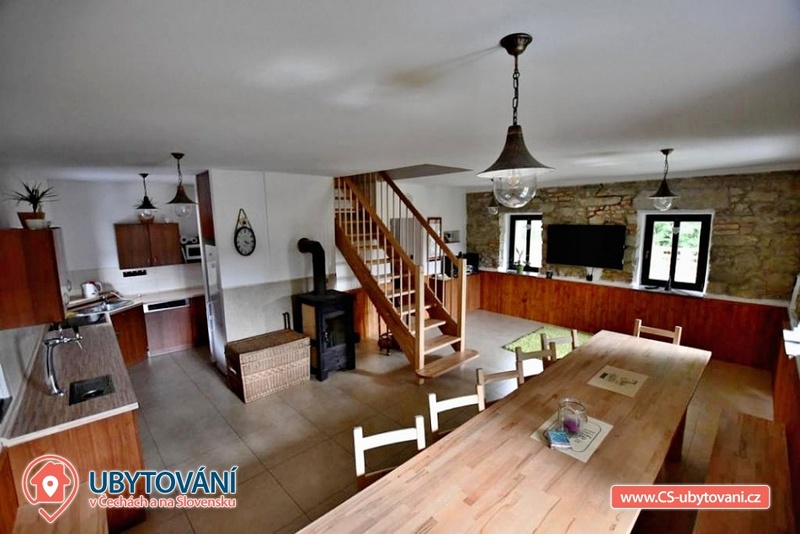 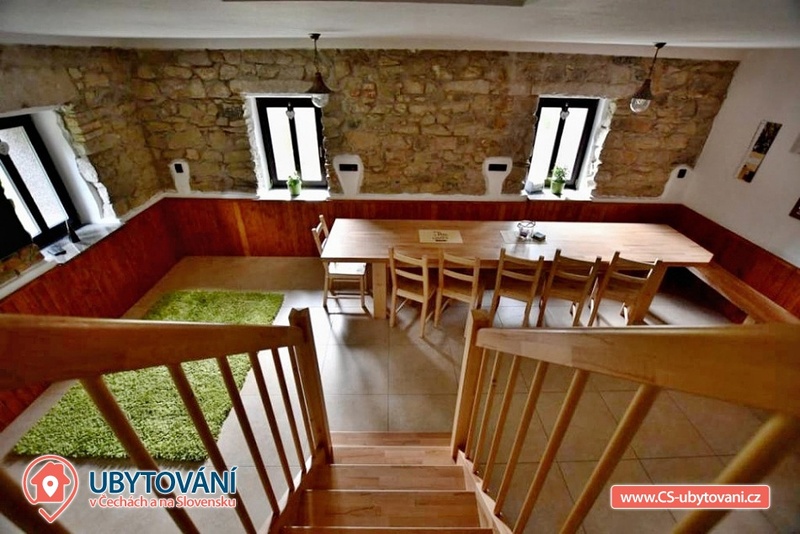 The cottage is a wooden pergola with a barbecue for your goodness, of course there is a fireplace and unspoiled nature that you will enjoy, because the nearest neighbors are 500 m from us. 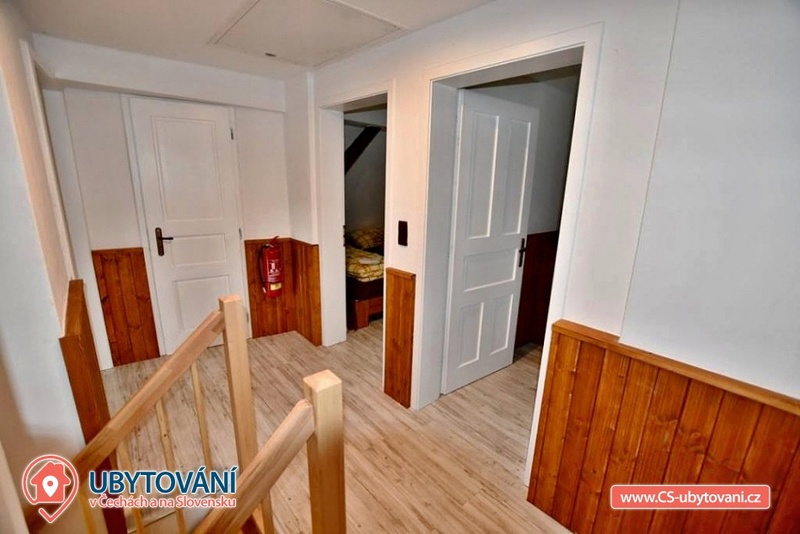 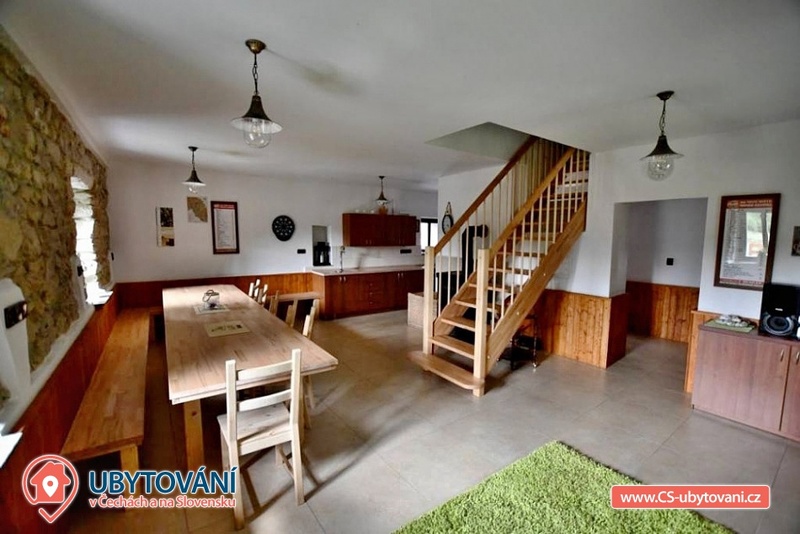 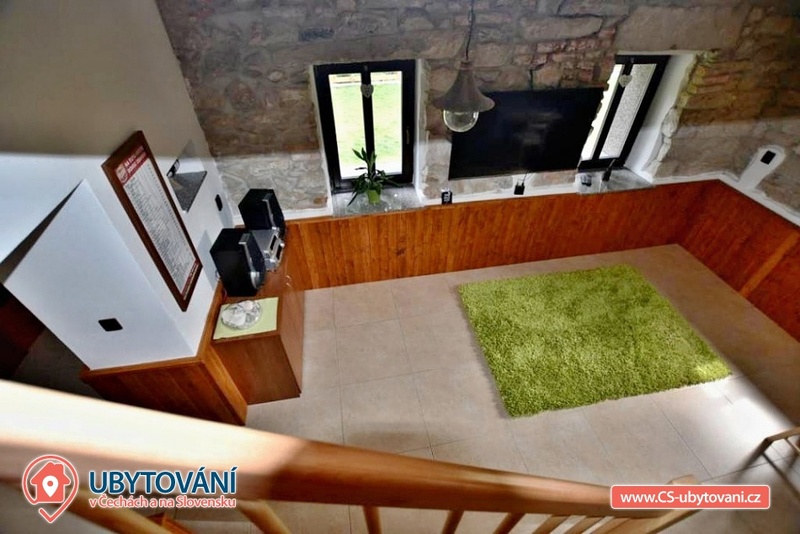 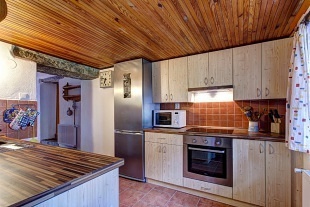 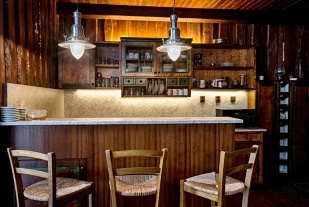 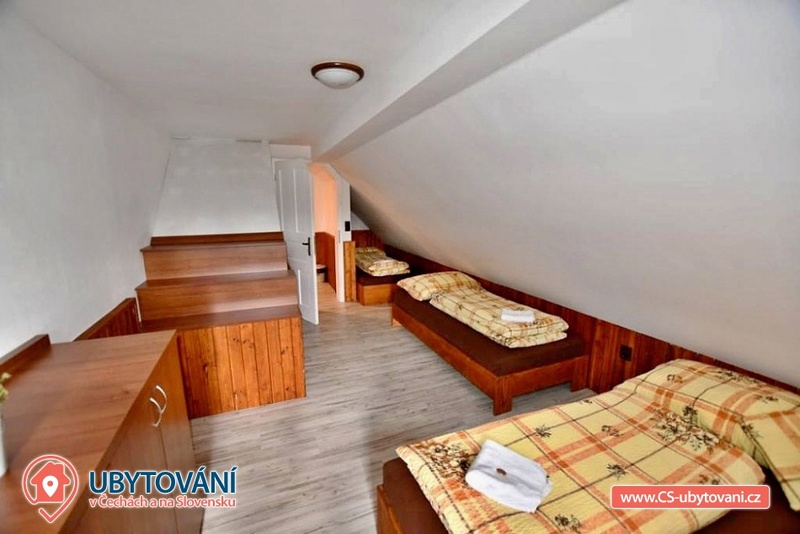 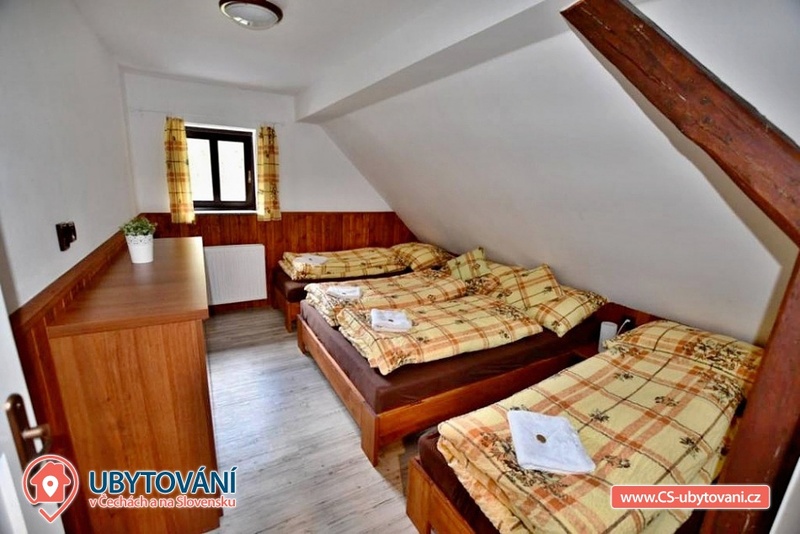 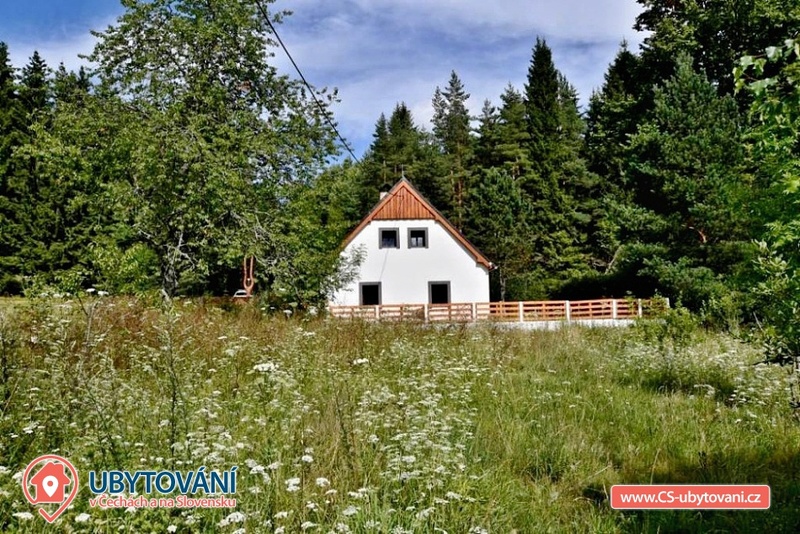 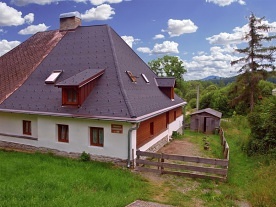 Part of the cottage is also a stylish stodůlka where is available garden furniture or sieves for drying mushrooms, the barn also serves for your use, for example bicycle storage, skiing, etc. 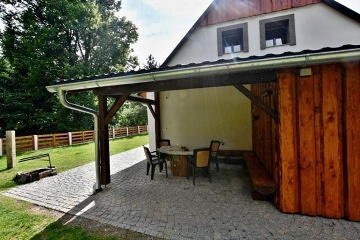 Parking is possible directly at the object unlimited. 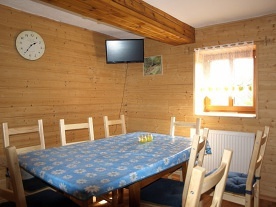 We can arrange breakfast or half board after agreement. 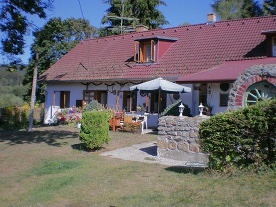 Restaurant within 3 km (Volary) or recommend to order pizza from Volar. 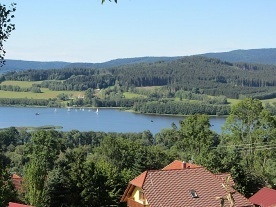 The most famous tourist destinations are the Boubín Forest with a lookout tower, Libínské Sedlo with a lookout tower and a cableway, Plešné Lake, Schwarzenberg canal with sailing, Three-alley, Lipno lake, cyclists or skaters around the Vltava (Nová Údolí - Nová Pec). 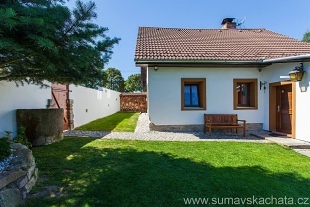 Famous towns: Prachatice, Český Krumlov, Strakonice, Hluboká, České Budějovice, Passau (Germany). 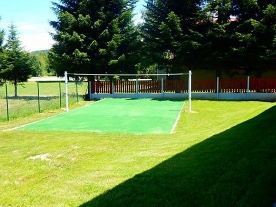 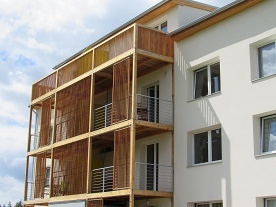 A tennis court can be booked in the summer and a local swimming pool and sauna are available. 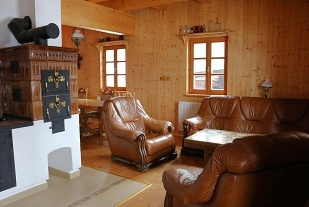 You can visit the playground, the city museum, the Valaar menhirs, the crossing, the old town with typical volary houses. 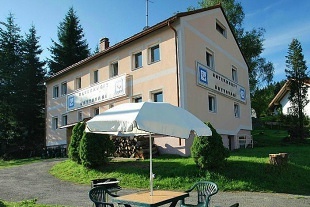 Nearby there is a railway station with a train exit in the direction of Prachatice, Strakonice, Český Krumlov and Nové Údolí (transition to Bavaria). 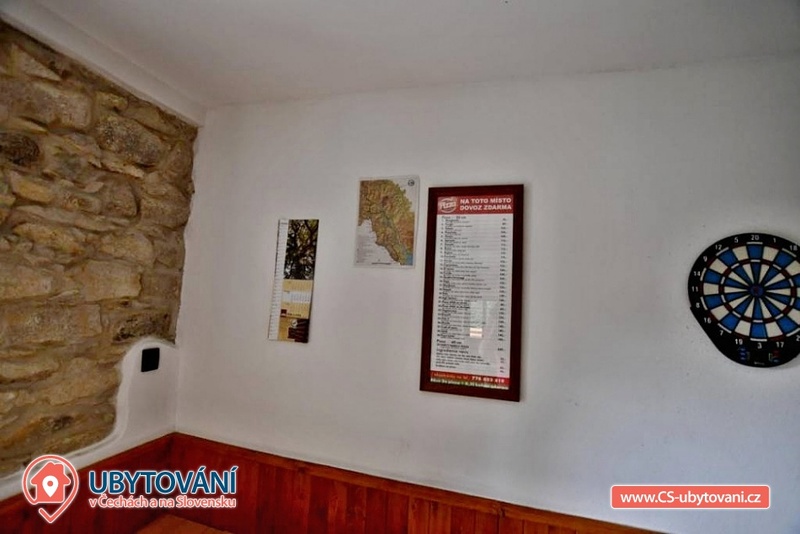 Of course there are marked tourist circuits around the city. 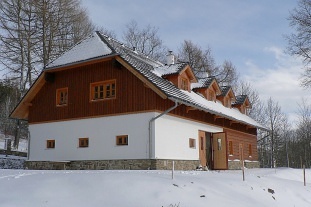 In winter, perfect conditions for skiing in German Mitterdorf (15 minutes from the house, very affordable family fare) are also suitable for the smallest skiers, the nearest center is the České Žleby (10 minutes). 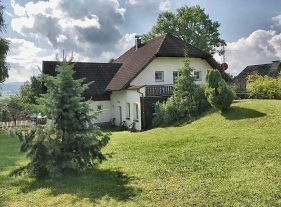 After skiing, you can visit the nearby thermal baths in Waldkirchen (including a salt-water 35-degree thermal pool) or the Volare town swimming pool.